Neonicitoid pesticide, which are common in most chemical pesticides, is responsible for killing our honeybees. Not only are these chemicals threatening the lives of bees, they ultimately threaten our lives because we cannot exist without bees. Moreover, these poisons leach into the food that we eat. There is a better way to grow organic food and keep the pests at bay: it’s hot pepper spray. Yes, you can buy it in stores, but it’s expensive. 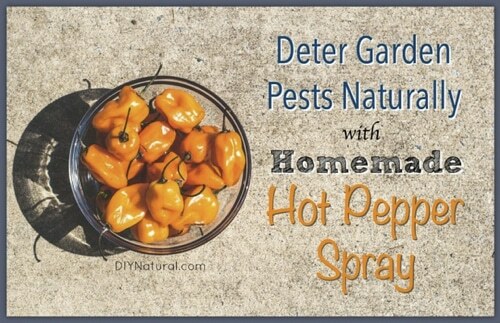 So, here’s recipe to make your own hot pepper spray for a clean and pest-free garden.